With a record number of Arizonans expected to travel this July 4th holiday, you want to be sure your car can take the heat. AAA says nearly 80 percent of Arizona travelers (744,000) will hit the road. Your Neighborhood Auto Repair Professionals (NARPRO) are sharing ways to keep cool and stay safe. Skip the pre-cool: Don’t waste time and gas by running your car’s a/c. The system works better when you’re driving because more air flows through the condenser and the faster the engine runs, the faster the a/c compressor runs. Feel like an oven? If your car is broiling when you get in, roll down windows to get hot air out, and set the air conditioning to cool outside air. After a short while, when the air from your vents is cool, switch to max/recirculate and roll the windows up. Check your filter: Dirty filters impede airflow – a clean cabin air filter allows you to get the most from your air conditioning. If a premium parking spot (shade) is not available a windshield sunshade helps. Just like our bodies, our cars need protection against harmful UV rays. The dashboard and interior can crack and fade from overexposure. Your car’s paint and finish can also take a beating over time. If possible, park in a garage, carport or under a tree and get regular washes. Turn the wheel. 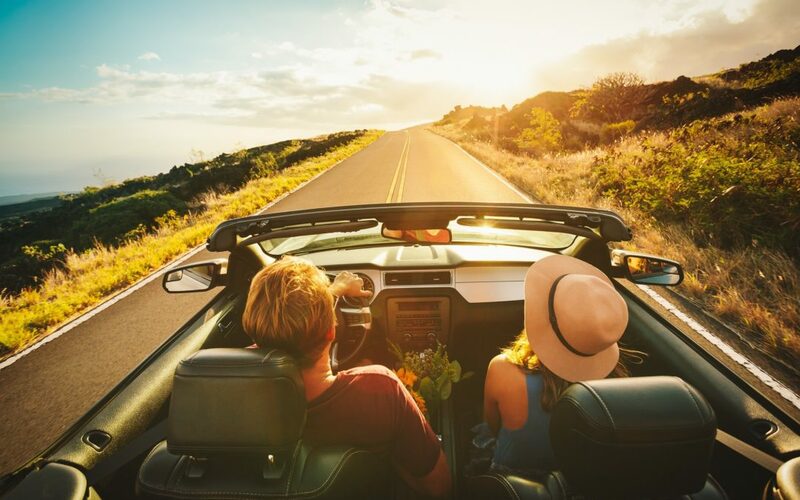 You can lay a towel over the steering wheel or buy a removable cover to avoid burning your hands, but here’s an easy alternative: before getting out of the car turn the wheel 180 degrees to keep it out of direct sunlight. When you return, just move it back. As heat enters through windows, it’s absorbed by the interior and can make for a smelly car. Here’s a twist on traditional air fresheners: tape a dryer sheet to the a/c so the scent travels through the car. You can also place dryer sheets under the passenger and driver seats. If you notice the smell is worse when you turn on the air conditioning your cabin filter or evaporator is likely dirty. Thirst can impact your driving in ways similar to drunk or drowsy driving. A 2015 study by Loughborough University in England found dehydrated drivers made twice as many mistakes. Using a driving simulator, the dehydrated subjects engaged in late braking and lane drifting at a rate that researchers expect of drivers under the influence of drugs or alcohol. NARPRO experts also discuss how heat impacts tires and batteries. Under-inflated tires create excessive heat and stress that can lead to a blowout. According to the Rubber Manufacturers Association, 85 percent of drivers don’t know how to properly inflate their tires. To get the most accurate pressure reading, check tires when they’ve been driven less than a mile. Regularly inspect the tread and sidewalls for irregular tread, wear, cracking cuts or other damage. Even minor damage can lead to eventual tire failure. The minimum acceptable tread depth for most tires is 3/32 inch which is about the distance from the edge of a penny to the top of Abe Lincoln’s head, but you don’t want to be at, or near, minimum during our Arizona summer. Heat evaporates battery fluids, which can speed up corrosion. Batteries last an average of 30 months in the Arizona heat. If your car’s battery is more than two years old, you should test it now to make sure it’ll last through the summer.